Windows are absolutely vital parts of any home… and not just for the super-obvious reasons. Sure, they keep the rain and wind out, but they do have other functions too! Chief amongst these is the capacity to provide insulation. Well-maintained windows provide excellent insulation for your home, which – in turn – helps to keep your heating costs down. That might not sound like a big deal right now, while we’re in the midst of a very nice summer indeed here in Long Island, but you know as well as we do that the weather will turn soon enough. Come the autumn and winter, you need your windows operating at their absolute highest levels, to ensure the best possible insulation. How can you do this? What’s the best way to care for your windows? Well, we’re glad you asked! Without wishing to brag, we are experts in this area here at Majestic Windows & Exteriors Cleaning, having carried out window cleaning across Long Island – in places like Seaford, Bellmore and Merrick – for a long time now. The number one threat to the health of your windows is negligence. If you don’t get them cleaned regularly, and allow the buildup of potentially harmful substances like mold and algae, you could suffer some costly consequences in the long-term. That’s why you should make sure your windows are cleaned at least every few months. 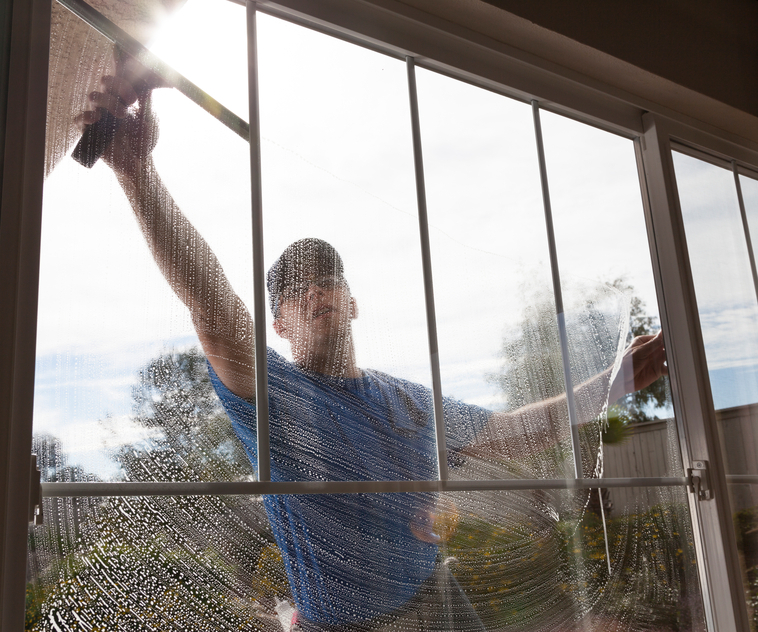 If you live in a coastal location – as many people do here in Long Island – which is more exposed to the elements, then your windows should be cleaned more frequently. Our number one tip, relating to this and to window care in general, is not to try doing everything on your own! We admire the DIY spirit here at Majestic, but it’s not in the best interests of your windows! If you try cleaning them yourself, you’re both unlikely to get them truly clean, and run the risk of applying unsightly scratches on your precious windows. The smarter option by far is to contact a professional window cleaning company in Long Island, and book them in for a job. It’ll be more expensive than cleaning your own windows, true, but when you consider the superior results you’ll receive, and the reduced risk to your windows, taking the professional approach is more than worth the cost. Who should you hire to carry out your window cleaning, whether in Bellmore, Merrick or Seaford? Why, Majestic Windows & Exterior Cleaning of course! Along with our aforementioned wealth of experience, we also bring high-level window cleaning equipment to every job we undertake, which helps us to consistently achieve excellent results. On top of that, we also place a big priority on customer service. Whilst they’re certainly professional, our staff are also extremely friendly by nature, and will look to make the window cleaning experience as pleasant as possible for you. For the sake of your home, and your bank account, please don’t neglect your windows. Take care of them in the best possible way you can; by hiring a proven, professional window cleaning company like Majestic Windows & Exterior Cleaning. To get in touch with us today, either call 631-421-2295, or email MikeMajestic@gmail.com.